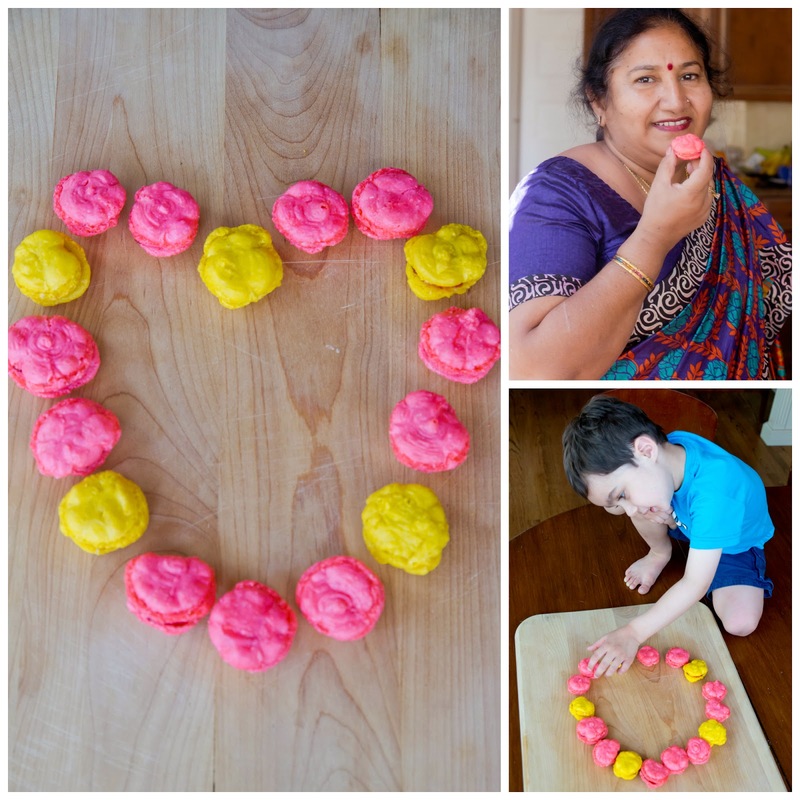 What better way to celebrate Mother’s Day than with MACARONS! 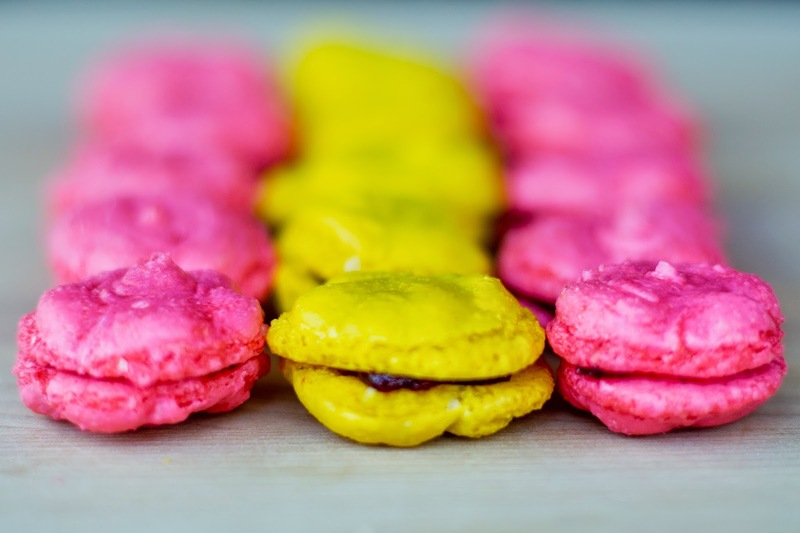 Macarons are delicate, airy and melt in your mouth. Traditional fillings are buttercream, jam and chocolate ganache. One little bite transports you to a quaint Parisian cafe. This was my first time making these delightful French confections. My mom, aunt and sisters LOVED these sandwich cookies and so did I! This Mother’s Day, I wanted to share this beautiful tribute to all the moms out there from our friend, Ingrid Skousgard. I wanted to make this Mother’s Day special by making macarons. I heard that making macarons is as easy as baking chocolate chip cookies. Well that is absolutely not true! Technique is critical. You need to follow the recipe to the T. Martha Stewart is one of my favorite online resources. Her recipes are easy to follow and sometimes she even includes a video that demonstrates her process. Martha’s recipe is suppose to yield 35 sandwich cookies, but I only got 25. I paired them with three fillings: Dalmatia’s sour cherry jam, buttercream and chocolate ganache. I’ve used the ganache filling for cupcakes. It’s delicious! I’m trying a new buttercream recipe from Hisako Ogita that pairs well with macarons. This weekend wasn’t just about macarons. I also prepared a delicious Mother’s Day brunch with mascarpone stuffed french toast with berries, baked eggs with tomatoes, herbs and cream and mimosas, of course. Williams Sonoma’s delicious brunch cookbook is a must have for anyone that loves brunch! After brunch, I took my nephew, Dylan, and niece, Keira, out for a bike ride and some playground fun. I hope your Mother’s Day weekend was as fun as ours! Previous Post Happy Cinco de Mayo!